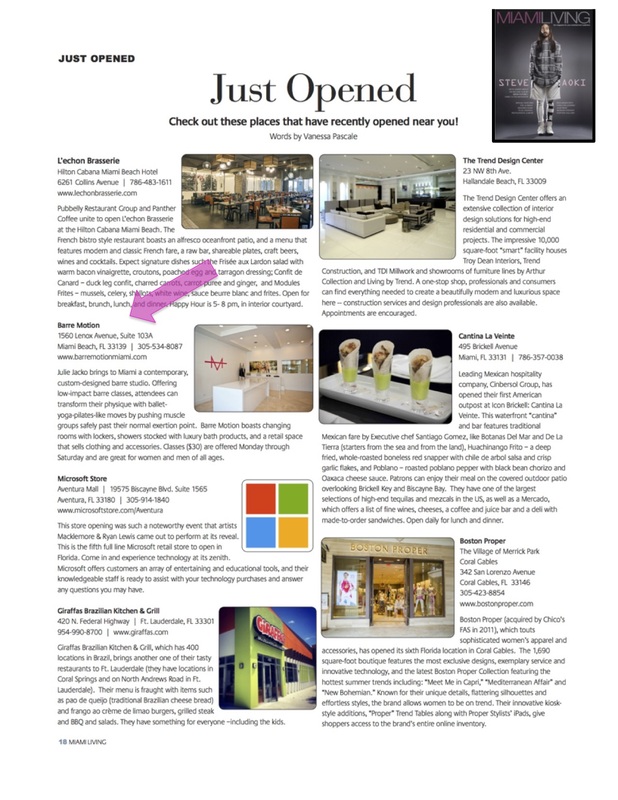 Barre Motion opened the doors of its contemporary, custom-designed studio on Miami Beach in the Summer of 2014. Founder Dr. Julie Jacko is a world-renowned author, speaker and award winner for her scientific achievements and holds a Master of Science degree and a Ph.D. in Human Factors Engineering, and knows a thing or two about how to make the body move. With the opening of Barre Motion, she brings her expertise in human physiology, kinesthesiology, and physical therapy to her barre fitness program. Jacko hired Robin Diamond to execute a multi-media launch strategy to ensure Barre Motion would stand out in an increasingly saturated market. 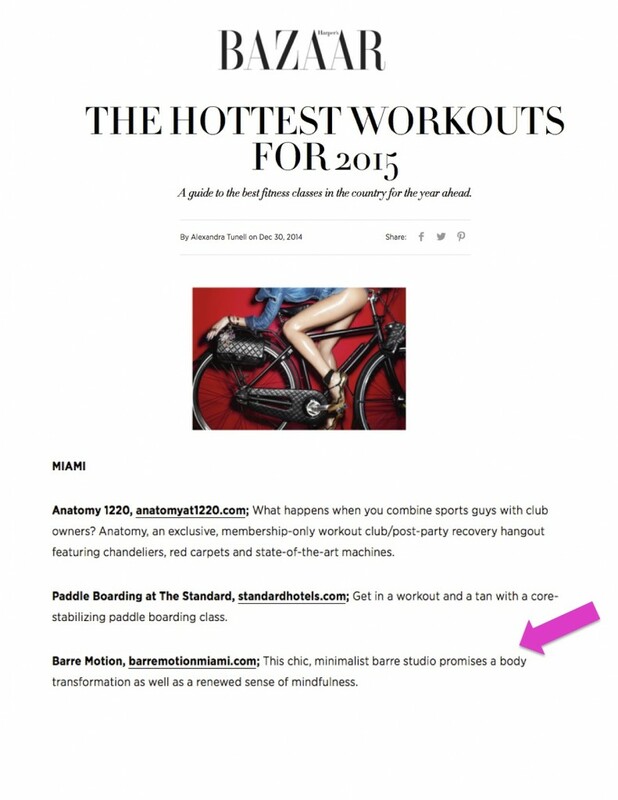 Introduce top editors and bloggers to Barre Motion’s proprietary workout through media-only classes, on-trend fitness stories and media award submissions. Build buzz and new customer sign-ups through local media coverage and community partnerships with like-minded retail stores and local businesses. Build a significant and engaged following through daily social media content development and management. 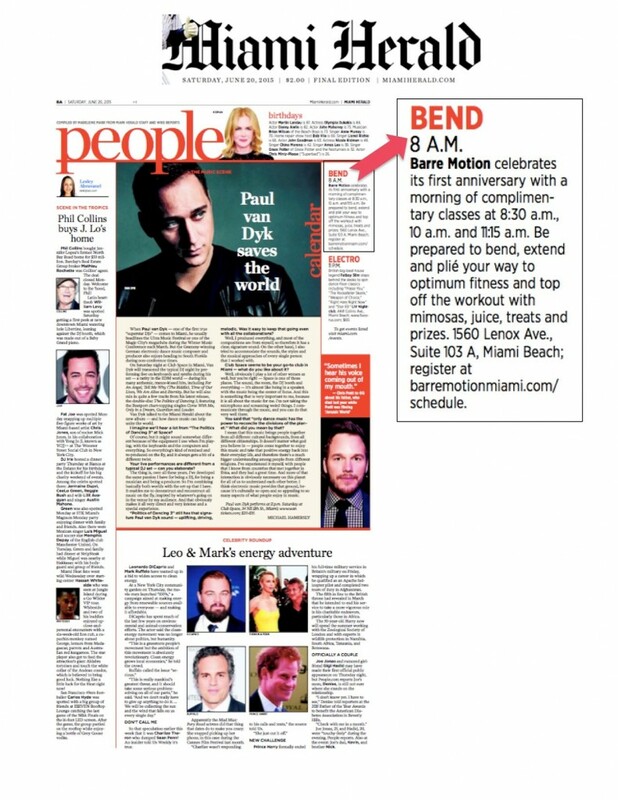 From securing a front page story in the Miami Herald’s lifestyle section to hosting a private event with a Bravo TV Real Housewife, plus accolades from top digital publications, this one-location exercise studio has enjoyed a multitude of impactful coverage across traditional and digital media. I refer to Robin as my “bearer of all good news,” because it seems that during every conversation we have (and we talk daily) she’s sharing how she’s yet again managed to create even more local, regional, and national buzz about my brand. Barre Motion has become an award-winning business in our first year, in large part because of Robin’s PR outreach and social media management. Working with Robin has surpassed my wildest dreams and makes an enormous difference in our brand growth.